Justin O. Frosini is Associate Professor of Comparative Public Law at the Bocconi University in Milan, director of the Center for Constitutional Studies and Democratic Development (CCSDD) in Bologna and Adjunct Professor of Constitutional Law at the Johns Hopkins SAIS Europe. He is the author of a book on the legal value of constitutional preambles as well as several articles and book chapters in English, Italian and Spanish in the field of comparative constitutional law with particular attention for federalism, regionalism and devolution, constitutional justice and forms of government. 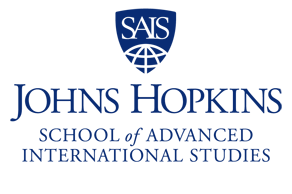 At SAIS Europe Frosini teaches a course on Constitutional Development and Democratization. Sara Pennicino is Assistant Professor at the University of Padua, Italy. After completing a Ph.D in Comparative Public Law (2008) at the University of Siena she became a first year postdoctoral research fellow at the University of Bologna's School of Law. In the meantime, she also became an affiliated scholar of the Center for Constitutional Studies and Democratic Development (CCSDD), where to date she holds the position of project coordinator. She is the author of numerous articles published in Italian and international law reviews focusing on common law systems, with special attention for American constitutional law. Her current academic work addresses the role played by electoral watchdog bodies in transitional and post conflict states, with particular reference to countries that were assisted by the international community in organizing and conducting elections on the one hand, and solving electoral disputes on the other. 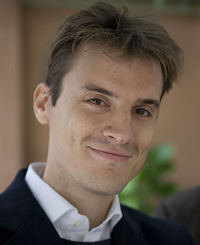 Francesco Biagi is a Postdoctoral Research Fellow in Comparative Public Law at the University of Bologna's School of Law, and Researcher at the Center for Constitutional Studies and Democratic Development (a partnership between the Johns Hopkins University SAIS Europe and the University of Bologna). From October 2015 to January 2017 he was a Senior Research Fellow at the Max Planck Foundation for International Peace and the Rule of Law (Heidelberg), where he now works as a consultant. 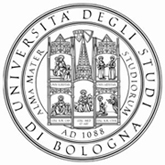 Biagi obtained a Ph.D. in Constitutional Law from the University of Ferrara after graduating in Law from the University of Bologna. In 2015 and 2017 he was Visiting Professor at the College of Law of the University of Illinois. He is the author of a book on the role of Constitutional Courts in the processes of transition to democracy (Corti costituzionali e transizioni democratiche. Tre generazioni a confronto, il Mulino 2016), as well as several articles and book chapters focusing on transitions to democracy, constitution-building, forms of government, constitutional justice, electoral justice, and federalism. He also coedited a book with Justin O. Frosini on "Political and Constitutional Transitions in North Africa: Actors and Factors" (Routledge 2015). In 2017 he obtained the National Scientific Qualification to become Associate Professor of Comparative Law. 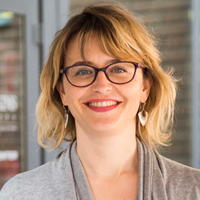 Carna Pistan is a Postdoctoral Research Fellow in Comparative Public Law at the School of Law of the University of Udine. She holds a Ph.D in Constitutional Law from Bologna University after graduating in Political Science from the University of Trieste. 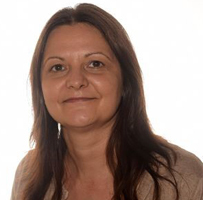 Carna became a member of the Center for Constitutional Studies and Democratic Development (CCSDD) in 2011 where she is responsible for organising the European Union and Legal Reform Summer School in Montenegro and coordinates a research project on "The Role of Constitutional Courts in the Challenges to Democratization and the Protection of Human Rights in Central Asia". She is the author of several book chapters and articles focusing on comparative constitutional justice, illiberal democracies, democratic transition, human rights and form of governments with particular reference to the countries of Central and Eastern Europe and the post-Soviet Union sphere. Her book “Between democracy and authoritarianism: experiences of constitutional justice in Central and Eastern Europe and Post-Soviet Union Counties” has been published in December 2015. 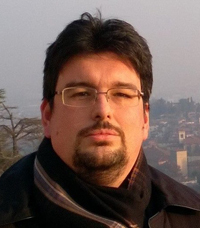 Marko Milenkovic is visiting post doctoral fellow at the CCSDD. He is a research fellow at the Institute of Social Sciences Belgrade (Centre for Legal Research). Marko has a PhD from the University of Belgrade and LL.M. from the University of Cambridge. He has been teaching in CCSDD summer school EU and legal reform regularly from 2010 and edited two volumes of school collected papers. He has a wide experience in implementation of projects aimed and legal transformation and advancement of the rule of law. His has published in areas of European Integration, Public law reforms and institutional change, Environmental law and State Aid. 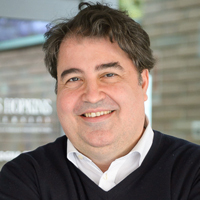 Giuseppe de Vergottini is a member of the Johns Hopkins University Advisory Board and is the co-funder of the CCSDD. 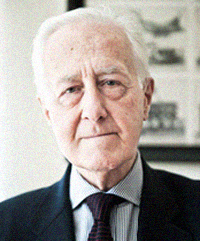 He is Emeritus Professor of Constitutional Law at the Faculty of Law of the University of Bologna. Prof. de Vergottini is a world renowned constitutional scholar and is an expert in the fields of: comparative constitutional law, national security and emergencies, Government - Parliament relations, constitutional reform and federalism. Michael G. Plummer is director of Johns Hopkins University, SAIS Europe, and ENI Professor of International Economics. He was head of the Development Division in the Trade and Agriculture Directorate of the Organisation for Economic Co-operation and Development (OECD) in Paris (2010-2012) and associate professor of Economics (with tenure) at Brandeis University (1992-2001). He is editor-in-chief of the Journal of Asian Economics (Elsevier) and has been adviser/consultant to many international organizations, including the Asian Development Bank and the ASEAN Secretariat. Plummer is an alumnus of SAIS Europe.